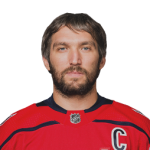 In all my years as an NHL writer, you could probably count the number of times I’ve recommended the Capitals on two hands (ok, maybe a little more than that as there was about a month a few years ago where I couldn’t get enough of Kuznetzov, Buarkovsky, and Williams as an Ovechkin hard fade). It almost feels like cheating to use Ovechkin because he’s just so good. As a player that tries to avoid the chalk, I can’t ever rationalize that Ovi isn’t chalk. 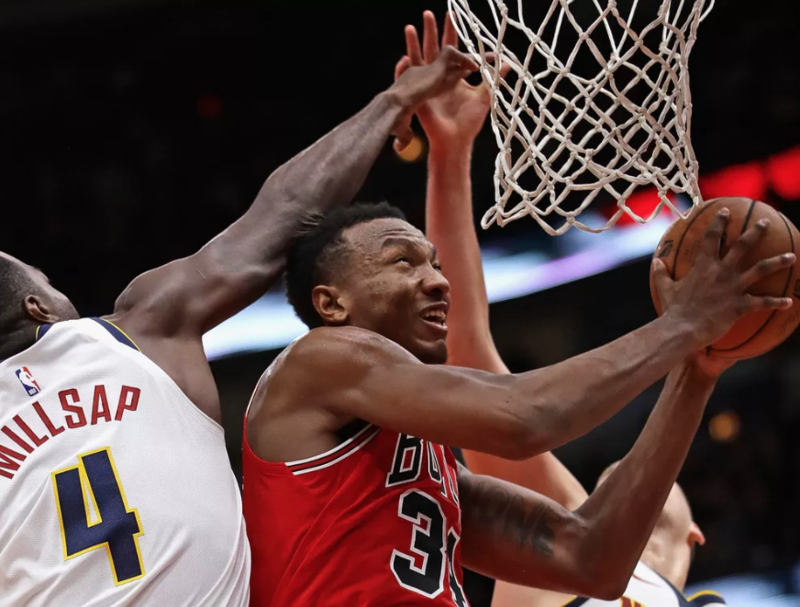 Well, I don’t care if he’s chalk tonight because the matchup is too good. With my new philosophy that embraces the chalk, this is exactly the type of stack that I should be using. Montreal is playing on the second leg of a back to back and even when they are full rested they are pretty bad. 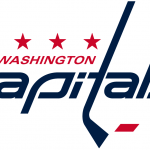 Carey Price has a 4.00 GAA over his last four games, a number that almost matches Washington’s 4.2 goals per game over their last four. 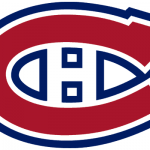 The Canadiens are also terrible when they are down a man, ranking 30th in the league in penalty killing. Because of this, I’m attacking with the Capitals top power play unit. 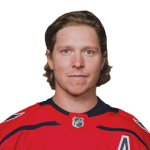 The trio of Alexander Ovechkin (WSH – W), Nicklas Backstrom (WSH – C), and John Carlson (WSH – D) have combined for 32 points over their last ten games and I don’t expect them to slow down tonight. 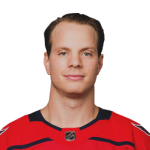 Carlson is my favorite player of the trio because he’s a lot cheaper than Ovechkin and he provide additional point potential due to his high volume of SABS (4.4 per game over his last ten; 7 in each of his last two games). 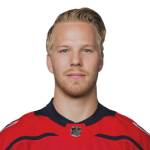 One name to keep an eye on to save some money is Lars Eller (WSH – C). He doesn’t get much love in even strength play but he skates with the top line on the power play and the spill off is real. Over his last ten games he has five points, but more importantly he has 37 SABS due to his 13 blocked shots. 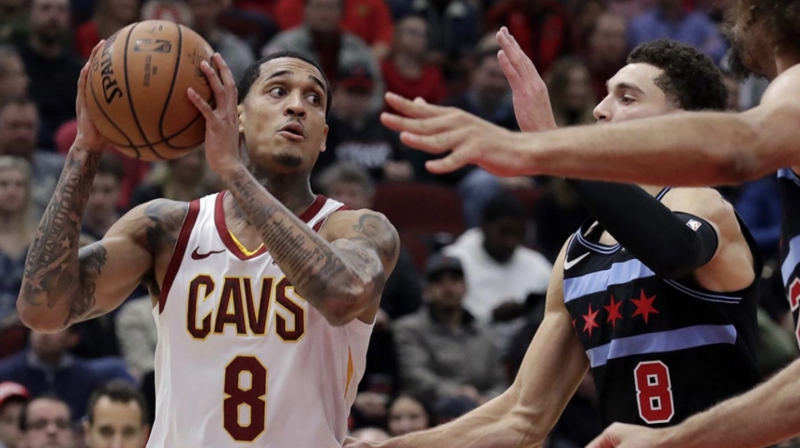 Don’t sleep on the value of those blocked shots from one of your forwards. If you wanted to stack Eller with Ovechkin and Carlson, instead of Backstrom, you save a cool $2k to upgrade elsewhere. 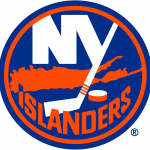 Despite losing four of their last six games, the Islanders are averaging 4.00 goals per game in that time span. Quite frankly, I don’t care if they win or lose if they’re giving me a high level of offensive production. 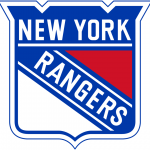 Today they enter a game that has the highest total on the board (6.5 over/under) as the fifth best power play team in the league against a bottom third penalty killing unit and a goalie that’s given up an average of 4.00 goals per game over his last six games. The Islanders will score tonight, the challenge remains figuring out who will score those goals. Due to the Isles proficiency on the power play, I’m going to have to focus my attention there first. 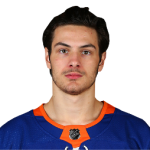 That means that I’m slotting in Mathew Barzal (NYI – C) as my top player on the team; 7 points during his current five-game scoring streak. He gives you exposure to all five of the other top six skaters for the Islanders so it’s like getting two lines for the price of one when you use him. 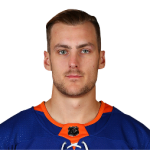 I think you also have to look at Ryan Pulock (NYI – D) for your stack for the same reasons you’re using Barzal; exposure on the power play and across the board in even strength. 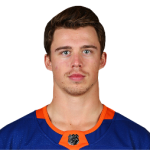 If I have the money I think I’m ok using both Barzal and John Tavares (NYI – C), but if I don’t have the money then I’d just move down the price list to Anders Lee (NYI – W) or even lower to Anthony Beauvillier (NYI – W) or Jordan Eberle (NYI – W). There’s a bit of point chasing to worry about with Beauvillier but if you can’t afford to go higher I’d be willing to take a chance that he performs well again tonight (not three point well, but one point with three shots should do the trick). I don’t always like to use Vegas totals to make my teams but when I see a 6.0 over/under with a home team listed as a -220 favorite I have to take notice. This is Vegas telling me they expect the Maple Leafs to score at least four goals, I think they can go higher. Detroit is awful on the road (13-21-3) and they can’t stop anyone from scoring as they are near the bottom of the league in goals allowed, penalty killing, and faceoff winning percentage (a highly underrated stat in DFS). They’ve also allowed 3+ goals in six of their last eight games. Meanwhile, Toronto is third in the league in power play conversion and seventh in faceoff winning percentage. The bigger advantage a team has in faceoff wins, the more opportunities they are going to have with the puck in their opponent’s offensive zone. 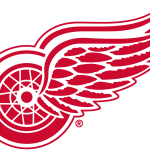 That’s bad news for the Red Wings but very good news for owners of Maple Leafs players. 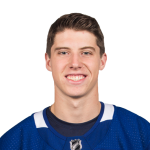 I’m in full “don’t get cute” mode with this game so I’m riding the hot duo of Mitchell Marner (TOR – W) and James van Riemsdyk (TOR – W). 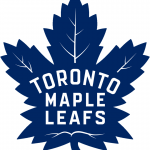 The duo held down the fort while Auston Matthews (TOR – C) was injured; Marner is on a six game points scoring streak, while JVR has multiple points in four of his last five games (ten points total). The third member of my offensive trio will be the aforementioned Matthews. He looked great in his return to the team with a goal on four shots on Thursday at Nashville (the team who has the best goalie in the league). 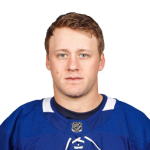 Morgan Rielly (TOR – D) has been amazing with 12 assists over his last ten games, but he’s also going to cost you an arm and a leg. 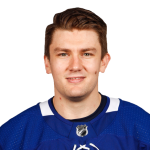 If you can afford him you should go for it, but if not then Jake Gardiner (TOR – D) has an assist in three of his last four games and he won’t cost you nearly as much. 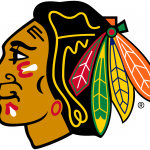 I know that we are playing the Islanders offense but that 6.5 over/under tells me that Vegas expects Chicago to get theirs as well. 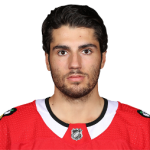 I’m probably not spending up for a Patrick Kane type player, but someone like Nick Schmaltz (CHI – C) or Alex DeBrincat (CHI – W) gives you some upside at a relatively cheap price. 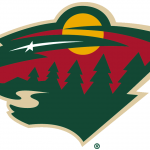 Erik Gustafsson (CHI – D) is a SABS play that sees time on the power play and has six points to his name of his last ten games. They have a permanent spot on this list until they figure things out. Scott Darling is expected to be in net for the Hurricanes and he’s given up 3+ goals in seven of his last ten starts. 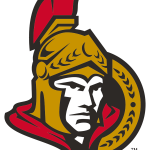 Carolina is one of the worst penalty killing teams in the league and if it’s not tonight for the Senators, then I don’t know when it will happen. 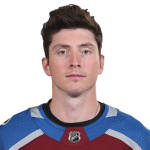 I’m going back to Matt Duchene (OTT – C) who has ten points over his last ten games; the only bright spot on this wretched team. Duchene deserves better than this but he’s playing his heart out and you can have him for $1.5 – $2k less than the top centers on the slate. 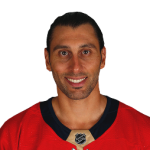 If the only thing you are looking for in net is a little bit of safety then you should click Luongo’s name and move on. 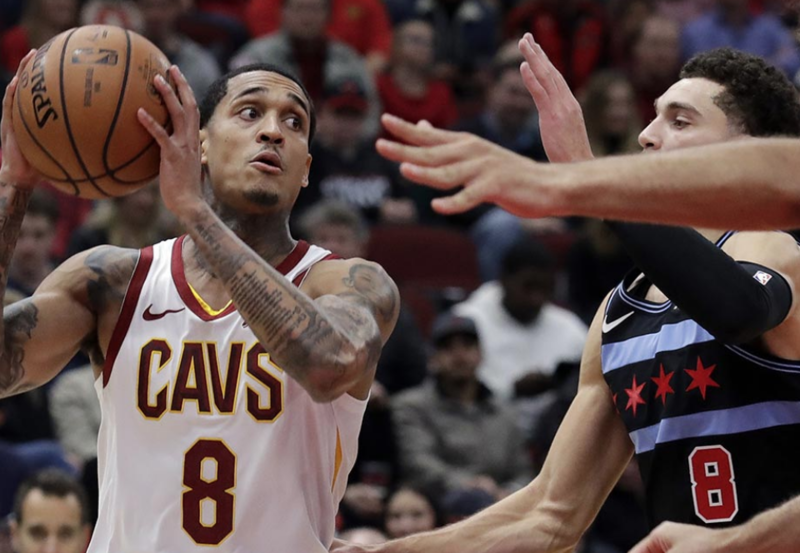 He’s a heavy favorite (-200) at home in a game that Vegas sees as low scoring (5.5 over/under). The Coyotes will be playing their third road game in four nights so tired legs will surely come into play. In addition, the Coyotes have scored 9 goals in the first two road games of this trip; a number that’s not even close to sustainable when you look at how they’ve played all year. 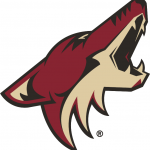 This game feels like one where the Coyotes are going to come out and lay an egg. You’re going to have to pay a lot for Luongo and that’s going to be tough to stomach after he’s been on a streak of four bad games (3+ goals allowed) in five outings, but a matchup against ARI is going to be just what the doctor ordered for him. 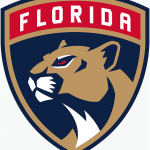 Let’s not forget that we are only a couple week removed from a stretch that saw Luongo post four huge games (2 goals or less in all four; 37+ saves in three of the four) in five outings. That’s the guy we are getting tonight against an aggressive, but bad Coyotes team. Long time readers of mine know that I have a soft spot in my heart for Dubs. 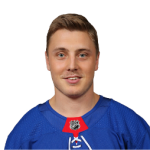 He was my favorite goalie play the first year I started writing for NHL DFS and he’s been a guy I have been able to rely on ever since. 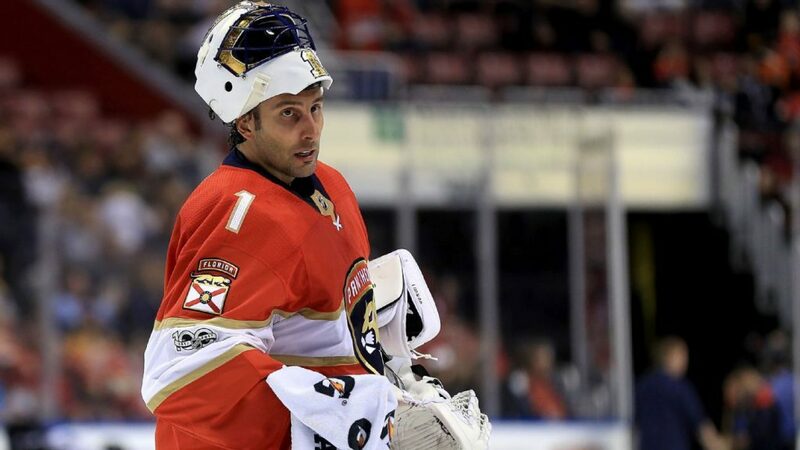 Like Luongo he’s going through a rough patch right now but he’s been great at home all season (19-4-6 with a 2.30 GAA and two shutouts) and a matchup against the Predators is scary enough to keep his ownership way down. I bet we don’t even see 7% ownership on Dubnyk tonight. He’s just too talented of a goaltender to not give him a look when his price gets down to this level. Nashville isn’t a lights out offense so it’s not crazy to think that he can record a game that sees him give up two goals or less. 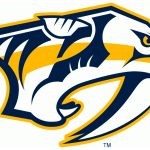 In his two games against the Preds this year he’s averaged over 36 shots seen per game, giving him a nice cushion should he let a few shots in. I actually think that Minnesota wins a low scoring game to get you that bonus (hence the reason I have Dubs over Saros, who I also like). Plain and simple, I’m picking on a bad offense in a bad situation with this play. 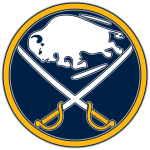 The Sabres are awful on the road and they are playing their second game in as many nights. 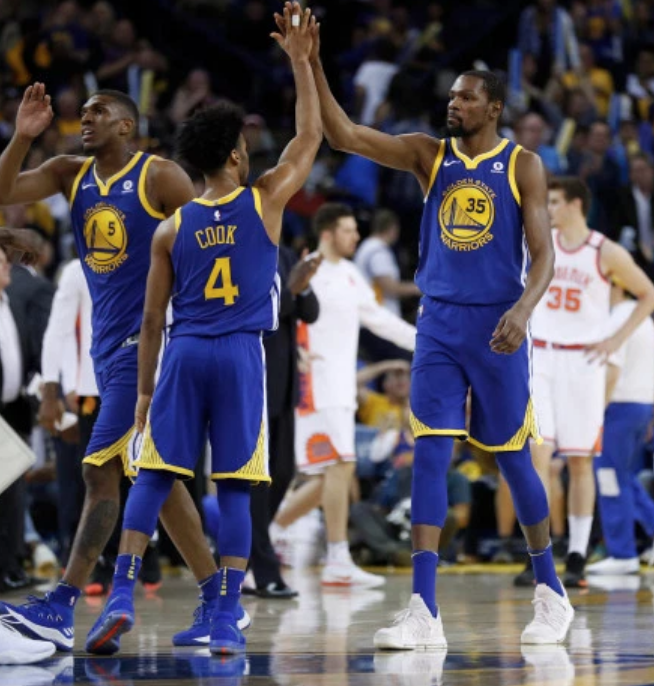 Even with full rest they are not a high-powered offense so with tired legs they are probably going to come out very lethargic tonight. 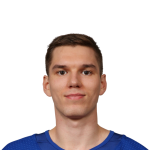 Vegas has installed Georgiev as a heavy favorite (-180) and I do think that he comes out of this game with a win. What really piqued my interested in Georgiev is that he’s averaging 38 shots seen over his last four starts. Although I’m terrified of his 3.50 GAA in those four games, the volume that he’s facing gives him a nice cushion should he let a few in. If I can get a line of 32 saves, 3 goals allowed, and a win then I’m going to be doing cartwheels. I don’t think that’s too unrealistic of a night for him given the matchup and how Vegas feels about this game. Philip Grubauer (WSH), Sergei Bobrovsky (CBJ), and Juuse Saros (NSH) are all goalies that I’ll be taking a hard look at tonight as well. Grubauer and Bobrovsky are on my radar simply because they are facing teams on the second night of a back to back, while Saros feels about 15% too cheap tonight. I know that I wrote about Devan Dubnyk, but it’s not like the Predators are going to give up a ton of goals even if they don’t score a lot themselves. Saros has been playing well all season with a stellar 2.37 GAA and about 30 saves per start. I know he’s not Pekka Rinne, but he has that same defense playing in front of him and Saros has been holding his own. 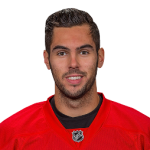 If Georgiev scares you, then Saros is a guy at a similar price point who should put your mind a little more at ease. Analysis: I kind of went against my advice to stack Ovechkin with Eller, using a Backstrom/Eller stack instead, but I just couldn’t fit Ovi’s price into this team if I wanted to spend up at goalie. It’s a little bit of an uneasy feeling to have no superstar player on a team but that’s kind of what happens when you want to roster the top goalie on a slate while still stacking high upside teams. I have three stacks in this lineup from teams that I think will score 4+ goals, so that alleviates some of the stress of not using Ovechkin, Matthews, and Tavares. The odds are that if any of those three score, the guys I’m using will catch some piece of that goal and I can live with that. The key here is Luongo hitting value; if he doesn’t do that, then spending down elsewhere was pretty much a waste. Analysis: I hate not having Auston Matthews on this team but I’d have to downgrade in places I’m not comfortable to make that happen. I also didn’t intend to use Jesper Fast on this team but his current point streak combined with a lack of price increase and a cake matchup against the Sabres was just too good to pass up in a situation where I had to save salary. I also don’t really trust Beauvillier but the matchup is good and my hands were tied given the makeup of this roster. I think there’s a ton of upside here (upgrading to Backstrom from Eller eases some of my concerns).